BELCIR, S.L. 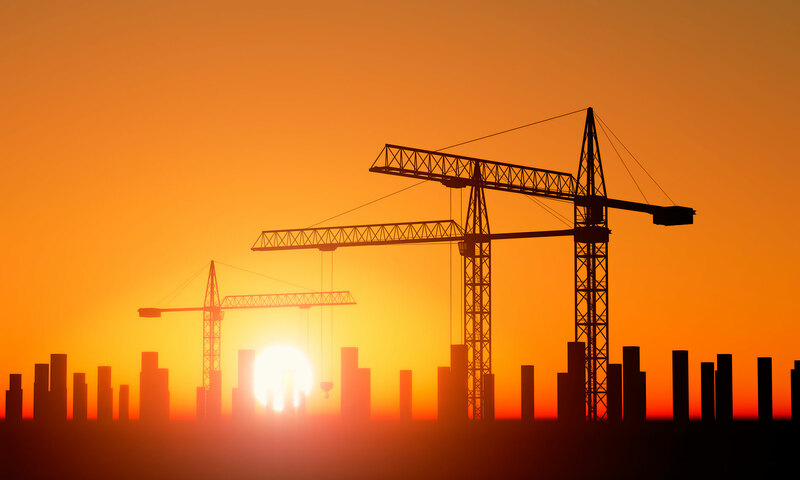 ABENGOA SERVICIOS URBANOS ABESA E.C., S.A. ACCIONA INFRAESTRUCTURAS, S.A. ACIEROID, S.A. ACME CATALUNYA, S.A. ACS, PROYECTOS, OBRAS Y CONSTRUCCIONES ACSA AGBAR COSNTRUCCION, S.A. ACSA, OBRAS E INFRAESTRUCTURAS, S.A. ADIGSA (UTE DIVISA BCN) AGROMAN E.C.S.A. AGROMAN, S.A. AGRUPACION GUINOVART & OSHSA, S.A. ALBERTO SALVADOR ADAN ALONSO, S.L. AMREY 2002, S.L. AMREY PROM. INMOBILIARIAS, S.A. ANCODUR, S.A. ARALIA S.I.C, S.A. ARAMUNT, S.A. ARCADI PLA, S.A. ASTRA PARK 5000, S.L. AUXILIAR DE OBRA CIVIL, S.A. AUXINI, S.A. AYUNTAMIENTO DE BARCELONA AYUNTAMIENTO DE SANT BOI BANCO DE FINANZAS E INVERSIONES, S.A. BASTIR CONSTRUCTORA CATALANA, SA BETA CONKRET, S.A. BIGAS GRUP, S.L. BOLONIA, SA BUROSERVI, S.L. C.A.R.S.A. CONSTR. APLIC. Y REF. S CALAGON, SL CALA BLANCA PROMOCIONS GIRONINA, S CARSA CASTOR MANRESA, S.L. CDB HERMANOS CALLE CEMENTOS MOLINS, S.A. CENTRE EXCURSIONISTA DE CATALUNYA CIA. AMPURDANESA DE CONSTRUCCIONS, CLUB DE GOLF PERALADA, S.A. COCUVA, S.A. COFELY ESPAÑA, S.A.U. COMAPA, S.A. COMSA, S.A. COMTAL GIRONESA DE PROMOC. COMUNIDAD PROPIETARIOS CONCAT 2005, S.L. CONFORT PROMOTORA INMOB, S.A. CONSELL COMARCAL LA GARROTXA CONST. SAN JOSE, S.A. CONSTR. ASTURIANA, S.A. CONSTR. BALDO, S.A. CONSTR. BETLINSKI, S.L. CONSTR. COTS Y CLARET, S.A. CONSTR. JUANES, S.A. CONSTR. RIERA, S.A. CONSTRU. CALER, S.A. CONSTRU. LLUIS CASAS, S.A. CONSTRUCCIONES 83, S.L. CONSTRUCCIONES BOSCH PASCUAL, S.A. CONSTRUCCIONES CALER, S.A. CONSTRUCCIONES CURTO, S.A. CONSTRUCCIONES DECO, S.A. CONSTRUCCIONES E INMOB. DE SOLSONA CONSTRUCCIONES EXISA, S.A. CONSTRUCCIONES ROVIRAS, S.A. CONSTRUCCIONES RUBAU, S.A. CONSTRUCCIONES SOLIUS, S.A. CONSTRUCCIONES ADI, S.L. CONSTRUCCIONES ARPE, S.L. CONSTRUCCIONES BETLINSKI, S.L. CONSTRUCCIONES BOSCH PASCUAL, S.A. CONSTRUCCIONES CALER, S.A. CONSTRUCCIONES DECO, S.A. CONSTRUCCIONES JOAN CUFI CONSTRUCCIONES JUANES, S.A. CONSTRUCCIONES M.I.G. CONSTRUCCIONES N 10, SL CONSTRUCCIONES OBRAS PUBLICAS Y CI CONSTRUCCIONES PAI, S.A. CONSTRUCCIONES PONTE AROSA, S.A. CONSTRUCCIONES RUBAU, S.A. CONSTRUCCIONES SERVIBA 4, S.L. 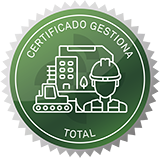 CONSTRUCCIONES SINYOL Y GESTION, S CONSTRUCCIONES TORCA, SA CONSTRUCCIONES ZURRIAGA, S.A. CONSTRUCCIONS PAI, S.A. CONSTRUCCIONS RUBAU, S.A. CONSTRUCT. LLUIS CASAS,S.A. CONSTRUCTORA D’ARO, S.A. CONSTRUCTORA LLUIS CASAS, S.A. CONSTRUCTORA SAN JOSE CONSTRUCTORA XEDEX, S.A. CONSTRUCTORA E INMOB. DE SOLSONA, CONSTRUCTORA LLUIS CASAS, SA CONSTRUCTORA PEDRALBES, S.A. CONTRATAS Y OBRAS EMPRESA CONSTRUCTORA CONTRATAS Y OBRAS, S.A. COPCISA, S.A. COPERFIL GROUP, S.A. COPISA CONST. PIRENAICA, S.A. COPISA, S.A. CORSAN-CORVIAM, CONSTRUCCION, SA U CRC OBRAS Y SERVICIOS, S.L. CUBIERTAS Y MZOV, S.A. DEDECOR M.M. SL DIVISA BARCELONA, S.A. DRAGADOS, S.A. DRAGADOS OBRAS Y PROYECTOS, S.A. DUMEZ – COPISA DUQUES DE BERGARA, S.L. ECISA CIA GRAL DE CONSTRUCCIONES, S.A. EDIFICACIONES MARAGALL, S.A. EDIFICACIONES SILMA 1999, S.L. EDIFICIO 6,7 Y 8 WTC UTE EDIFICIO TERMINAL DIQUES UTE EDIFICIO TERMINAL UTE EHISA CONSTRUCIONES Y OBRAS, S.A. EMCOFA, S.A. EMCOFA, SA EMPTY, S.L. ENLACES, S.A. ESPAIS PROMOCIONALS DE CATALUNYA 2006 EURITMIA CONSTRUCCIONES, S.A. EUROCATALANA OBRES I SERVEIS, S.L. EXC. Y CONST. BENJUMEA EXCOVER, S.A. EXCOVER, S.L. EXCOVER, S.A. EXISA, S.A. F. CLOSA ALEGRET F.C.C., S.A. F.C.C. CONSTRUCCION, S.A. FADESA, INMOBILIARIA, S.A. FCC CONSTRUCCION, S.A. FELIPROMO, SA FERROVIAL AGROMAN, S.A. FERROVIAL INTERNACIONAL, S.A. FERROVIAL, S.A. FERROVIAL AGROMAN, S.A. FESTES, S.A. FIRA GRAN VIA UTE. FOMENTO DE CONST. Y CONT. S.A. FORCIMSA EMPRESA CONSTRUCTORA, S.A FUNDACION ATLAS FUNDACIO ESCOLES GARBI GBS ESTUDIO LEGAL E INMOBILIARIO, S.L. GERCASA CONSTRUCCIONES GESCON 95, SL GOLA ESTANY RESIDENCIAL S.L. GRAMONA, S.A. GRUPO PREYCO 44, S.A. GRUPO PREYCO 44, S.A. (FUND. DEHAS HABITAT (MESTAVA, S.A. ) HERO CONSTRUCCIONES, SA HEUROP, SL HUARTE, S.A. IBERICA DE SERVICIOS Y OBRAS S.A. IMAGA PROYECTOS Y CONSTRUCCIONES, S.A IMTECH SPAIN, S.L. INCE, S.A. INDUSTRIAL CATALANA DE CONSTR., S. INFRISA, S.A. INICIATIVES BADAL, SL INMOBILIARIA IMASA, S.A. INSTRUCCIO POPULAR INTER OFFICE JOCON CANILES, S.L. JOTSA / PHILIPP HOLZMAN JOTSA, S.A. LAFARGE ARIDOS Y HORMIGONES, S.A. LEBEC 94, S.L. LICO MEDES, SL LONCEST, S.L. MAPE MONTAJES METÁLICOS, S.A. MINOTAURO EMPRESARIAL, SL MUUR GIPS SPAIN, S,L, MUUR GIPS, S.L. NECSO NECSO ENTRECANALES CUB, S.A. NECSO ENTRECANALES CUBIERTAS, S.A. NEST SITGES PROYECTOS Y PROM., S.L NEW KLINT TERCIARIO 2001, S.L. NOVA LINEA, SL O.C.P. CONSTRUCCIONES, S.A. OBRAS HISPANIA SAE, SA. OBRAS REUNIDAS, S.A. OBRAS Y SERV. HISPANIA, S.A. OBRAS Y SERVICIOS HISPANIA, S.A. OBRASCON HUARTE LAIN, S.A. OHL, S.A OHL, S.A. P.A.C.S.A. PIEDRA NATURAL LEIRO, S.A. PINTURAS DEL VALLES, S.L. PREUFET, S.A. PREUFET, SA PROINOSA, S.A.U. PROM. CASTELL PARC, S.L. PROMOCIONES MARTLE, S.A. PROMOCIONS VILANOVA, SA PROYECTOS Y EDIFICACIONES VIMAR PROYECTOS Y EJECUCIONES DE OBRAS PROYECTOS Y SERVICIOS BENJUMEA, SA QUALITAT OBRES, S.L. REFRICA, S.A. REHAC, S.A. RESIDENCIAL MAÇANA, S.L. ROMERO GAMERO, S.A. RUBAU – TARRES RUBAU TECNICOM, S.L. S.A.B.A. SACYR, S.A. SACYR, S.A.U SAETIC SA SASTRE HERMANOS, S.A. SASTRE HERMANOS, S.A. SATHER, S.A. SERVEIS, OBRES I MANTENIMENTS, S.L SERVIBA 4, S.L. SERVIMUTUA DE EDIFICIOS, S.A. SILVER EAGLE DE OBRAS Y PROMOC., S SIMESA SOLUCIONES DE EDIF. INTEGRALES Y SOSTENI SOPSA – UTE SPACE 2002, S.L. SPAIN – TIR, S.A. SR. MAXIMO IGLESIAS TARRACO E.C., S.A. TAU INGENIERIA Y CONSTRUC. ESPEC., S.A. TAU – EMPRESA CONSTRUCTORA, SA TERRENYS I ESTATGES, S.L. TERRENYS I ESTATGES, SL TEXTIL SOLARET, S.A. TEYCO, S.L. TFM ENERGIA SOLAR FOTOVOLTAICA, S.A. TIFERCA, S.A. TIFERCA, S.A. U.T.E. MONTSERRAT UNIVERSAL DE ESTRUCTURAS, SL UNIVISA UTE AEROPUERTO GIRONA UTE APARC. RECINTO FERIAL G.VIA UTE BAGES SANITARIA UTE BIOMEDICINA DE LLEIDA UTE BUSINESS UTE CAN SANT JOAN UTE CASARAMONA UTE CEN UTE CENTRO CONTINGENCIAS GAVA UTE CIUDAD DE LA JUSTICIA UTE CONSTR. CAN BRIANS-2 UTE CONSTR. ITAM LA TORDERA UTE DRAGADOS – OCP UTE DRAGADOS – DRACE – COPCISA UTE DRAGADOS – FERROVIAL – F.C.C. UTE EDIFICI EMI UTE ESTACIONS AEROPORT L9 UTE ESTACIONS L9 LLOBREGAT UTE F.C.C. + AUXINI, SA UTE F.C.C.+CUB. Y MZOV, SA UTE FIRA P-5 (F.C.C. – COMSA) UTE FRONT MARÍTIM SACYR-SCRINER UTE GORG UTE HOSPITAL DE BELLVITGE UTE HOSPITAL DE PUIGCERDÀ UTE HOSPITAL DEL MAR UTE HOSPITAL MOLLET UTE L9 VIADUCTE UTE LINE 3 CANYELLES -TRINITAT UTE LINEA 9 LLOBREGAT -FIRA UTE LLOTJA UTE MERCAT DE SANT ANTONI UTE RESIDENCIA RAMON BERENGUER UTE RONDA NORD GRANOLLERS UTE RONDA SABADELL UTE SEU CAIXA PENEDES UTE STADIUM UTE TEM CONSTRUCTORA UTE TERMINAL AEROPUERTO UTE TRADE CENTER(DRAGADOS-FCC) UTE TRINITAT NOVA UTE TUNEL TERRASSA UTE URBANIZACION CAMPUS ESADE UTE URBANIZACIÓN LESSEPS UTE VELA BCN UTE VULLPALLERES UTE CENTRE CONVENCIONS UTE CONTROL AEREO GAVA UTE EDIFICI FORUM VIAS Y CONSTRUCCIONES, S.A. VILADRICH COMPAÑIA CONSTRUCTORA, S.A VOLUMETRIC PROMOTORA CONSTRUCTORA, S.L. VOPI4, S.A.